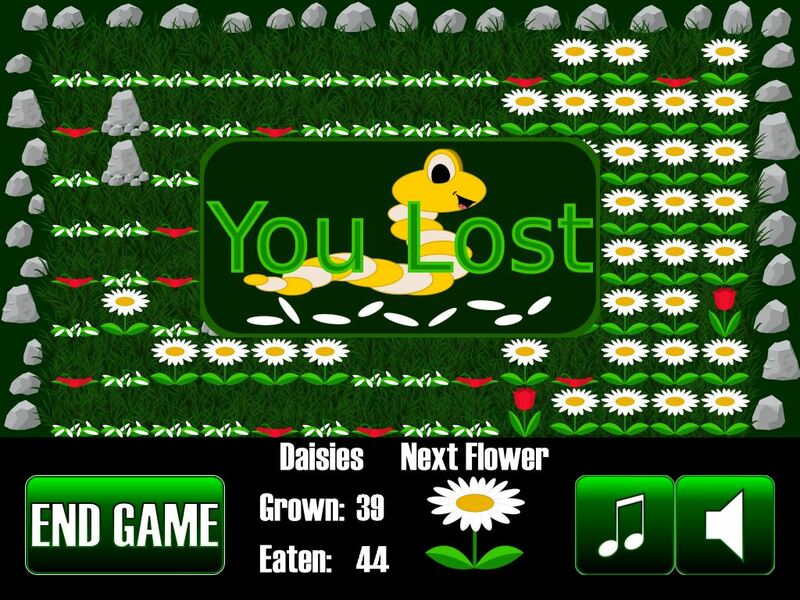 Billy the Worm is invading your garden! He loves nothing more than eating daisies but he hates tulips. They taste disgusting! So disgusting that he won't go near them. His friend, Lucy the Ladybug, has decided to join him. She finds tulips delicious, but hates daisies and flies right over them. 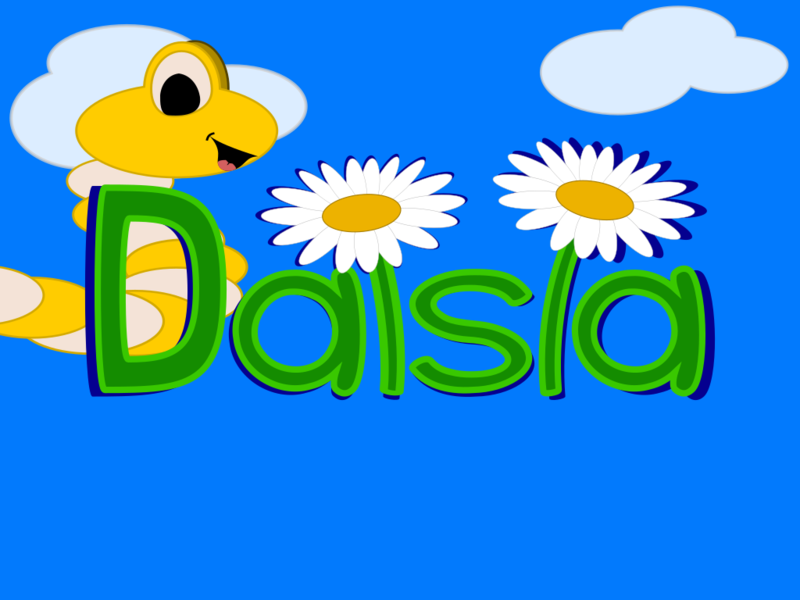 Grow as many daisies as you can! 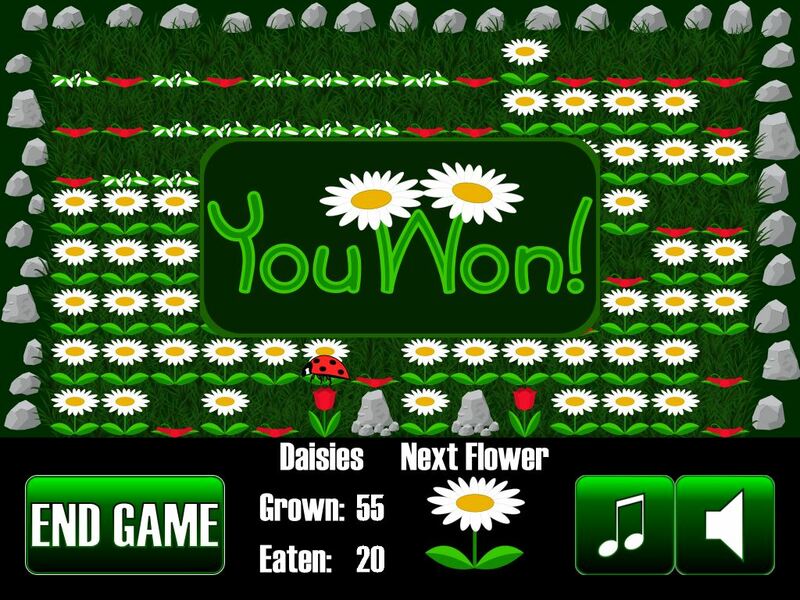 You are given a random flower to plant each turn. 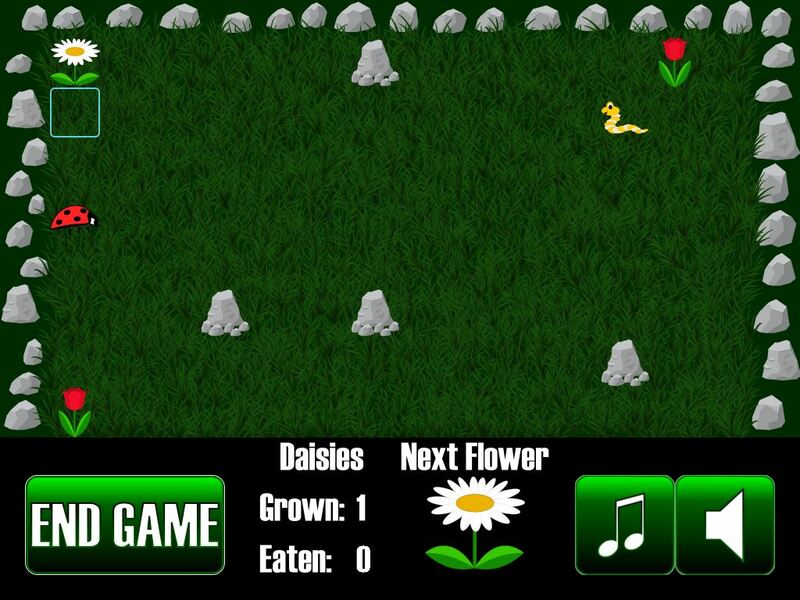 You can't grow a new flower over top of an eaten flower, a rock, Billy, or Lucy. 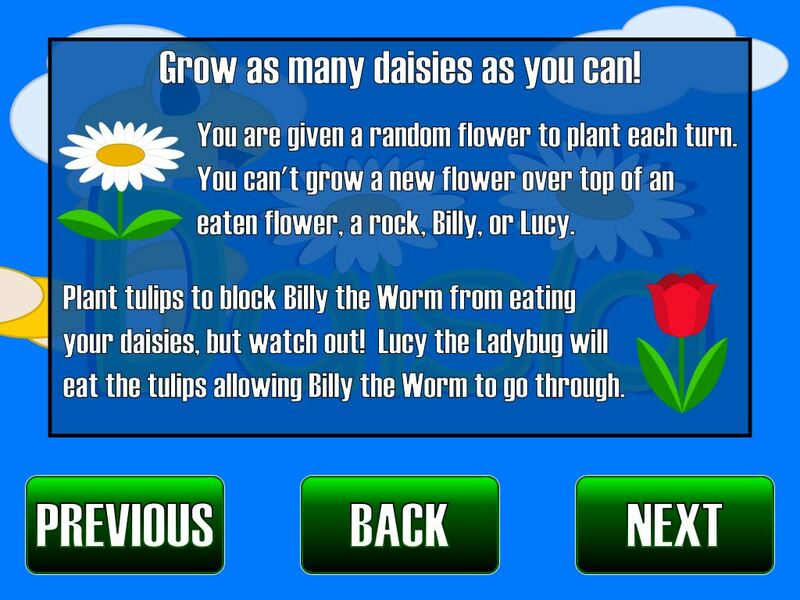 Plant tulips to block Billy the Worm from eating your daisies, but watch out! 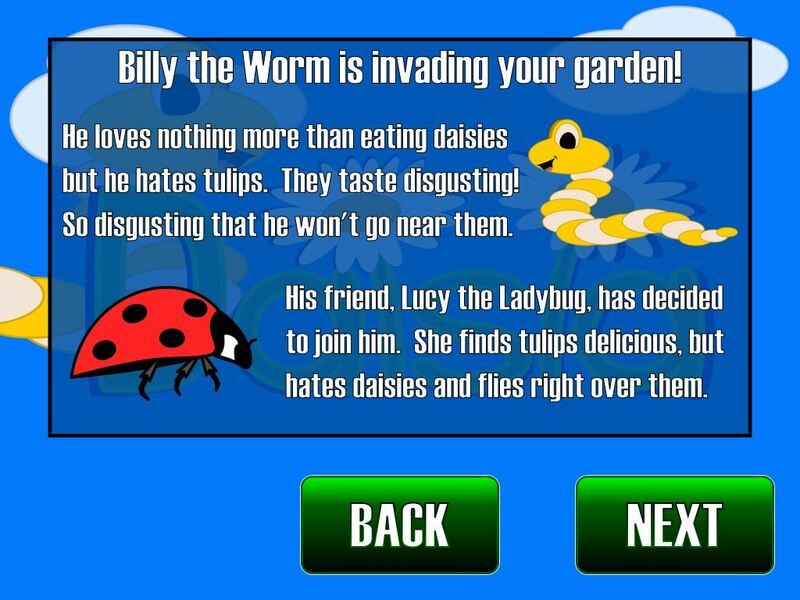 Lucy the Ladybug will eat the tulips allowing Billy the Worm to go through. Music looping has a slight pause. This seems to be an issue with the App Game Kit 2 libraries. The music loops correctly when played with other programs. "This application has failed to start because XINPUT9_1_0.dll was not found. Re-installing the application may fix this problem." "Failed to create XAudio2, make sure you have "DirectX End-User Runtime" installed." Download and install the DirectX End-User Runtimes (June 2010). 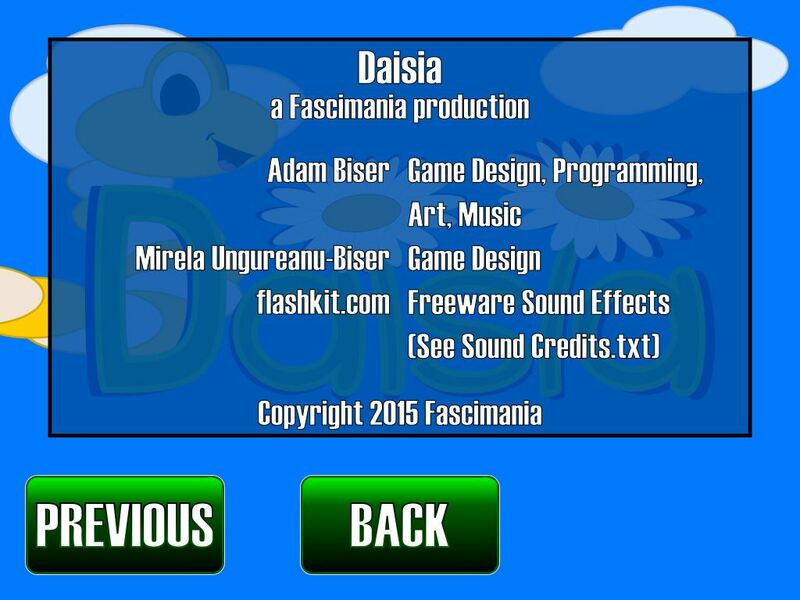 Games developed using App Game Kit 2 require these runtime files.